We read the original Mrs. Piggle-Wiggle nearly a year and a half ago, and the boys had forgotten most of it. After briefly recounting a few of Mrs. Piggle-Wiggle's remedies, they remembered the one where the mom plants radish seeds all over her daughter's dirt-encrusted body, but that's it. From what I remember of reading the first one to them, they seemed to like this one quite a bit more. Whether that's because they're a little older now or because they liked the problems/solutions more, I don't know. In the first book, all of Mrs. Piggle-Wiggle's solutions are natural, physical consequences. In this one, she resolves problems through magic: a little box of white powder for Thought-You-Saiditis, a large black bottle of tonic for the little boy who never wants to go to school, and another powder plus two blowers for the chronic interrupters. 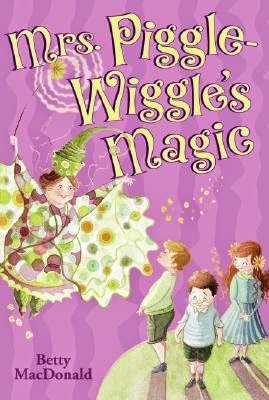 The first book never alludes to Mrs. Piggle-Wiggle's magical abilities, but nevertheless, it's a fun little twist. For my part, I think I also enjoyed this one more than the first. The chapters followed a less-predictable format, which was refreshing, and they seemed a little more connected while still being standalone stories. But the best part for me was the last chapter. In the first book, the last chapter followed the exact same format as every other chapter before it, so it didn't really feel like an ending. But this time, the final chapter brought together all the characters in a combined effort to find buried treasure and save Mrs. Piggle-Wiggle from financial ruin (she's worked her way down to her last morsel of food). It's different than the preceding chapters since the children are all helping Mrs. Piggle-Wiggle instead of the other way around (although whether or not it's a contrived dilemma in order to help the children out of their rain-induced depression is up for debate--Mrs. Piggle-Wiggle does cry real tears of gratitude at the end, I'll give her that). 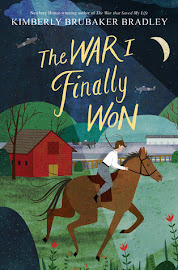 Aaron and Maxwell loved this chapter: the suspense of searching through the house and finding dozens of secret drawers (all empty) culminated with Mimi's discovery of the treasure, which was bigger and better than any of them imagined. But my very favorite line? This one, from "The Bad-Table-Manners Cure": "Gee, Lester, I hope you don't mind but I always listen to a bunch of keen radio programs at five o'clock." Who agrees that we definitely need to bring back the word "keen"? The Mouse and the Motorcycle was the very first chapter book I read aloud to Aaron. At the time, Maxwell was too young to listen, so he'd never met the adventurous mouse, and it was so long ago that Aaron couldn't remember anything about him. 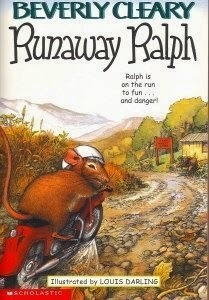 So it was definitely time to revisit Ralph and his beloved motorcycle. In this installment, Ralph is sick of the Mountain View Inn and decides to follow the bugle calls to the summer camp a few miles down the road. He's sure there will be lots of peanut butter and jelly sandwiches to keep him well-fed, but he ends up being captured by a young boy named Garf instead (and loses his motorcycle in the process). So a cage in the craft shop becomes his home, which suits him fine for a time. But then, he begins to miss his motorcycle and the freedom to cruise in the open air. Ralph's relationship with Garf is very different than his former friendship with Keith. For one thing, Garf is introverted and unfriendly. He doesn't want to be at camp. Ralph wants to talk to him, but Garf makes him nervous. Ralph doesn't know if he's trustworthy. But Garf and Keith share one thing in common: they both love motorcycles, and they can appreciate a little mouse who lives out their fantasies of riding one. 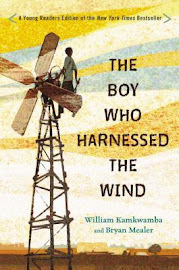 This provided a common link between the two books while still making them completely different stories. When I'm reading aloud, I love using different voices for the various characters. I'm not great at it (usually my British accent comes out sounding completely unrecognizable of anything remotely British), which is why I only perform for my kids. But I have to say, once in awhile, I hit upon the perfect voice. And that happened with the character of Chum (a grumpy hamster) in this book. The first time he spoke, this combination of stuck up/bored/dignified drawl came out of my mouth, and it was just right. Love those moments. To say my kids are Ramona fans would be a vast understatement. If we were forced to limit our reading to one (and only one) children's series, this would probably be it. They love her even more than Henry Huggins, which surprises me since Henry owns a dog, has the same interests as them, and is, first and foremost, a boy. But I'm not complaining. I love Ramona, too. 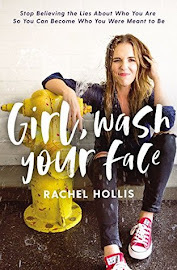 She is funny, creative, and has that little touch of naughty that is just so endearing and, let's be honest, relatable. I often shy away from books that showcase any type of behavior I would rather not have my children mimic. But this feels different. Ramona's naughtiness, while not always entirely accidental, is nevertheless mostly innocent and harmless. But more than that, it is just so real. For example, when the boys heard about how much she wanted to boing Susan's curls, they knew exactly how she felt--not because they know someone with boingy curls per se, but because they've also felt intense curiosity about how something/someone will react if pushed/pulled/taken apart/etc. And there's nothing that will endear a character to a reader faster than empathy. This one takes place when Ramona is in kindergarten, and we had fun observing the similarities and differences to Aaron's past year at school. One difference? This: "Before long Mrs. Quimby and Mrs. Kemp decided the time had come for Ramona and Howie to walk to school by themselves." Sadly, times have changed. 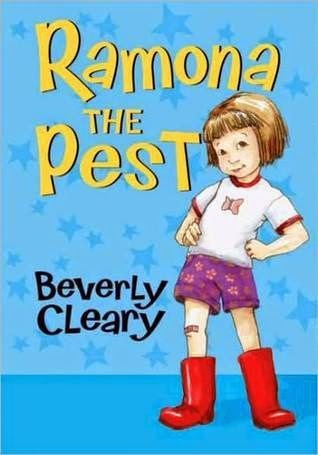 Beverly Cleary never ceases to amaze me. In the final two chapters of this book, Ramona has a terrible day at school. She gets in big trouble for once more giving into temptation and pulling Susan's springy curls. There's nothing worse for Ramona than thinking her beloved teacher, Miss Binney, doesn't love her. So when Miss Binney says Ramona can't come back to school until she can stop pulling Susan's hair, she knows she will never go back. For days, Ramona refuses to leave the house in spite of her mother's cajoling and her sister's teasing. But here's what makes this whole episode, in my opinion, rise to a whole new level of storytelling: at the beginning of Ramona's terrible day (before it was a terrible day), she loses her first tooth (at school, right when they are talking about words that begin with T, no less). She is beyond thrilled. She can't wait to show her family and asks Miss Binney to keep it in her desk for safekeeping. Her happiness is actually what prompts the boinging incident (she just can't contain her energy). Then of course, everything falls apart, and it is not until her walk home that she realizes she left her tooth with Miss Binney. There was something about that little tooth that just broke my heart. At the end of the terrible day, Ramona throws one of the worst tantrums of her life (really, the writing of the tantrum scene was an epic accomplishment in and of itself). When Ramona has finally kicked and screamed herself into a state of exhaustion, she falls asleep, "after all she had no reason to try to stay awake, because the tooth fairy was not going to come to her house that night." It was little reminders of the lost tooth like that that made the days that followed not just sad but really pitiful. Honestly, if it hadn't been for that little tooth, this episode wouldn't have been half so memorable. Plus, in the end, it's the tooth that fixes everything and lets Ramona know that Miss Binney does indeed love her very much. Aww, all three of these are books I loved when I was growing up!